American Snake Pit is a powerful title for your memoir-but the subtitle is even more intriguing: Hope, Grit, And Resilience In The Wake Of Willowbrook. Can you tell us where it came from? The title came from Bobby Kennedy in 1965, after he toured an unannounced visit to Willowbrook, a large institution in Staten Island, New York. He stood shaken in front of the cameras and said: “We have a situation that borders on a snake pit.” That film clip really grabbed my interest and American Snake Pit was born. But in spite of this ominous image of a “snake pit,” this is a book about hope. The tremendous courage, bravery, and hidden skills of the people I helped move into the community by way of this experimental group home is astounding. It’s what’s possible when people are given the right opportunities. You’ve gotten some very notable writers and mental health professionals to endorse the book, Phil Zimbardo and Adam Grant among them. Reviews of the book have said they laughed and cried throughout. Can you tell us what the book is about and how it evokes this range of emotions? In 1979, I was hired to manage an experimental group home taking the most disabled and difficult clients out of Willowbrook, which had been identified as the worst asylum in America. There were multiple abuses going on inside the hospital and when Geraldo Rivera took his camera crew in to film the atrocities, it sparked legal action that demanded the folks in the institution be treated more humanely. Over 100 court decisions later, New York State was required to try to relocate everyone into community-based homes—even the most severely handicapped. These experimental homes—the first of their kind—were meant to fail. They were only supposed to show that we had tried, and that nothing could be done for these folks. No one believed we could make it work, which ended up being a tremendous incentive for us. The end result was a surprising and interesting mix of humor and pathos. Many of the behaviors of patients were unique and hysterical, while others are deeply saddening and heartbreaking. We had one resident whose sense of smell was so acute that he could detect who owned which pencil just by smelling it. Another resident stripped naked in the middle of town the first time she felt rain because she’d never felt a downpour before; in all her time in an institution she had never been outside while it was raining and misinterpreted it as shower time. Seven intellectually and psychiatrically disabled individuals with profound behavioral problems and amazing hidden talents are moved into a community group home with some not-ready-for primetime-staff, myself included. The town hates us and tries to find ways to keep us from becoming permanent residents. One of those ways is to impose a requirement that we all have to be out of the house in under two minutes during a fire drill. At the time, this seemed impossible, given our lack of staff and the disabilities of the residents. There are some powerful twists in the story that readers will find fascinating. I can’t reveal the ending, but what I can tell you is that things worked out better than expected. Think of One Flew Over the Cuckoo’s Nest—but with a happy ending. What is important about these experimental group homes and what happened at Willowbrook is that mental health became a civil right in America. Today, every nursing home, prison, and residential facility must care for the mental welfare of its individuals. Was it hard to write about these difficult experiences and also try to mix in humor? Not really. I was a standup comic and comedy writer while I was finishing my PhD and working in the field of intellectual disabilities, so I’ve always had this back-and-forth way of looking at some of the most difficult things in life and trying to transcend them through humor. You were a standup comic? Yeah. But please don’t tell my mother—she still doesn’t know. I was on the circuit back when Andy Kaufman was in his heyday and Eddie Murphy was just starting out on Saturday Night Live. In fact, I have some stories about Andy Kaufman that I’ll write about one day. He used to come into the Improv with all the rest of us comics and we’d try some new material out. One night this got out of hand… but that’s a story for another time. Who are some of your major influences as writers? Oliver Sacks, Irvin Yalom, and David Sedaris are my heroes, but I’ve also been deeply influenced by the work of Martin Seligman. After getting my PhD I went back to school to get an MFA in creative nonfiction, because I wanted to be a crossover professional like Sacks and Yalom. In fact, I wrote my thesis was on fusing writing styles from both Yalom and Sedaris. After my first memoir came out, Confessions Of A Former Child The Therapist Memoir (Graywolf, 2008), I went back to school for my Masters in Applied Positive Psychology (MAPP) at the University of Pennsylvania. I went through a bit of a dark time and wanted to see what this new subfield in psychology was all about. After I graduated from the program, I realized how important hope was in my life. I wanted to use stories as ways to instill hope in others, so I took on the task of crafting this story as an example. From the feedback I’ve been getting, it seems like this is happening. You’ve also written the screenplay for American Snake Pit. Can you tell us about that? I actually wrote the screenplay first. There’s a lot of moving parts in this book and writing a screenplay helps you get the storyline exactly right. There’s no wasted energy in a screenplay. After I wrote it, I went back and finished crafting the book. Once the book was in its nearly final form, I went back and put together a much more detailed and richer script. The screenplay has now been out and about since last June and has one over 30 awards at various international screenwriting and film festivals. The most recent wins are: First Place, Genre Grand Prize for Best Historical Drama at the Las Vegas Screenwriting Contest; Third Place, Best Screenplay Socially Relevant Film Festival in New York; and a finalist for the prestigious Cannes Scriptwriting Contest for Best Historical Drama. At the end of April one of the contests will be doing a complete table read of American Snake Pit. I can’t wait to see that! You’ve identified this memoir as creative nonfiction because you’ve had to fictionalize parts of it to hide identities and circumstances, and yet there are accurate historical passages in the book about Willowbrook. What was it like to blend fiction and nonfiction? First, it was necessary to mask the identities and circumstances from which I learned all this material. Parts had to be fictionalized as a way to tell the story without revealing the identities of the individuals. This goes way beyond just changing names. People with such unique disabilities and talents can be identified rather easily, so I had to take great care in mixing and creating various scenes and vignettes to support the understanding of an individual’s circumstance, while also masking any identifying details. In the end, this story is similar, but certainly not identical to my own. What is your hope for the book and screenplay? I’m donating the proceeds of the book to YAI National Institute For People With Disabilities and the book has been set up as a fundraiser so that any human service agency that wishes to can get the book from the publisher directly and sell it as a fundraiser without paying royalties to me. My hope is to raise funds and awareness about mental health in the United States and to help people become more tolerant and kinder to each other. In the end we are all here to help one another have better lives. Anything you would like to ask of your readers? Does anyone know Ron Howard or Steven Spielberg? 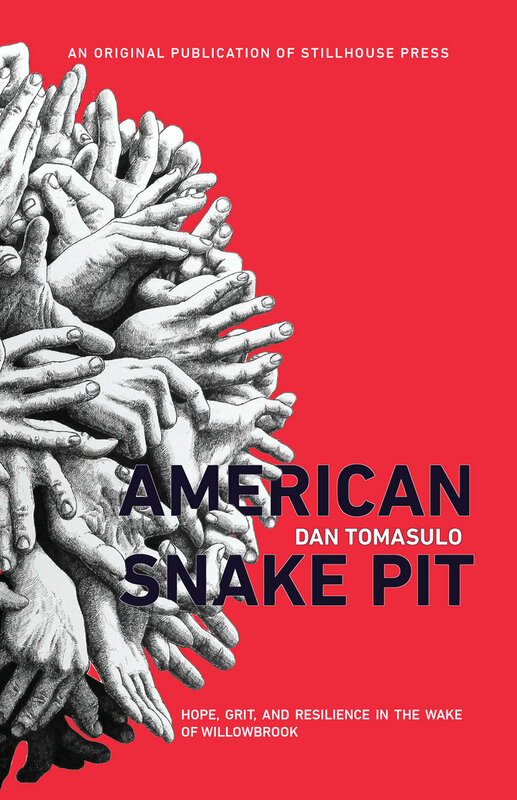 DAN TOMASULO is the author of two previous titles, most recently Confessions of a Former Child: A Therapist’s Memoir (Graywolf Press, 2008), winner of the 2009 Rebecca’s Reads Written Arts Award in Creative Nonfiction. 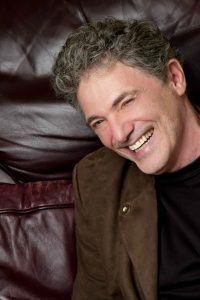 He co-authored Healing Trauma: The Power of Group Treatment for People with Intellectual Disabilities (2005), the American Psychological Association’s first book on psychotherapy for people with intellectual disabilities, and is also the author of Action Methods In Group Psychotherapy: Practical Aspects (Taylor & Francis, 1998). His second memoir, American Snake Pit, was selected as a finalist for The Southampton Review’s 2016 Frank McCourt Memoir Prize and the screenplay has received over 20 awards at international film festivals since June 2017.